Enchiladas marked special occasions in our home. To understand them is to understand our community. 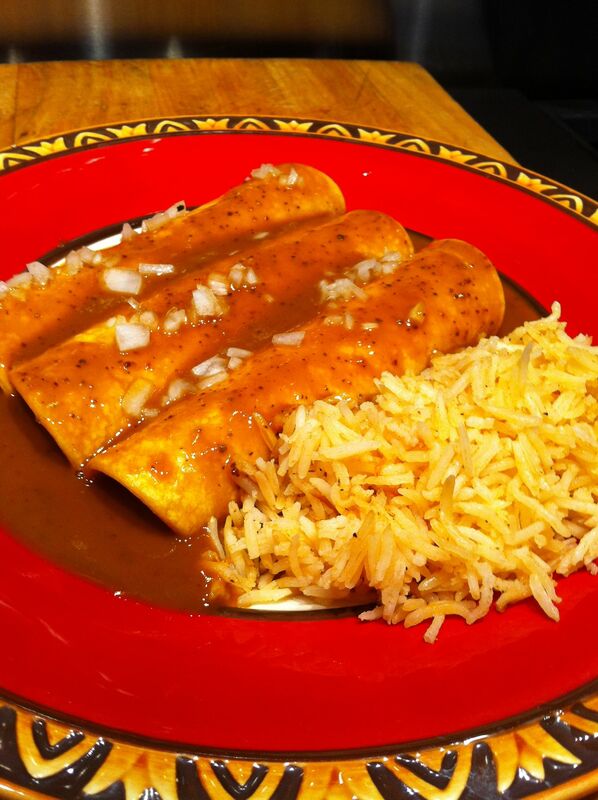 I’m glad to share this recipe because its history makes it quintessentially Texas Mexican. I say this for two reasons. 1. It grounds us in our region. The discriminating blending of different types of chiles links us to the other communities in our geographic region who also combined chiles in different variations to make different dishes. Think Guanajuato, Puebla, Oaxaca, etc. 2. It integrates Texas Indian with European ingredients. Actually its success as a fine dining culinary dish results exactly from the successful integration of native with foreign ingredients: a beautiful culinary marriage. In this case, chiles with flour; and Mexican oregano with cumin. The same happened in Oaxaca with mole using wheat bread as a thickener for chiles. Thankfully, today more scholars like my friend, Dr. Mario Montano, are documenting histories of people and cultures who live along the Rio Grande river and these will give us a more accurate history of the origins and evolution of such ingredient combinations. 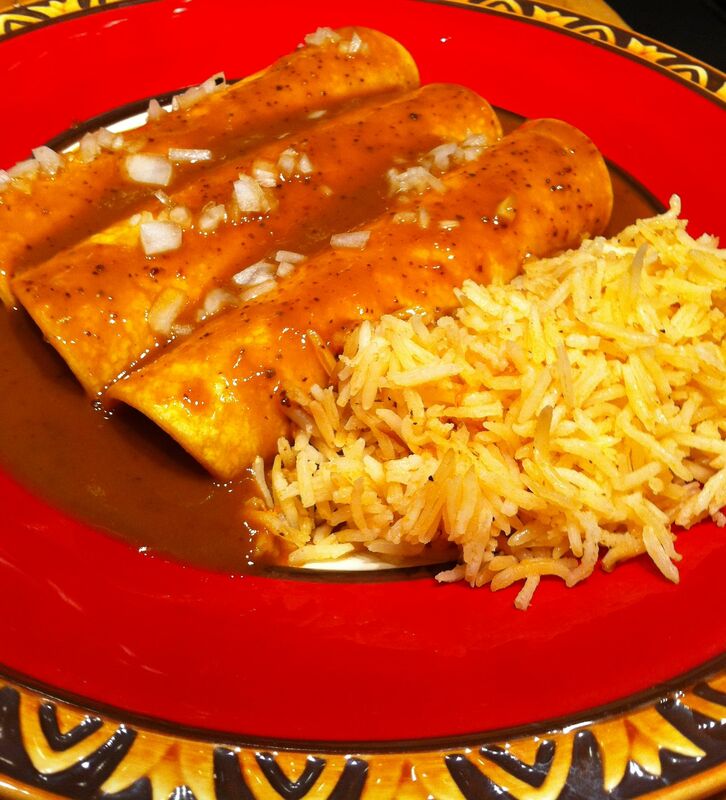 OK, I call these Enchiladas a fine-dining dish because we savor them with sensory pleasure but also with intellectual enjoyment. This will become clear (I hope) in the recipe. 2. In a molcajete make a paste of the chiles, cumin, garlic cloves peppercorns and oregano. Alternately you can use a blender and one cup of the water to make a very fine purÃ©e. Just make sure there are no chunks nor granules. This chile-spice combination is the focal point. It is what you want to taste first and throughout. All the other elements of the dish play supporting and contrasting roles. 3. Finely dice the onion. The picture shows how small the dice are. My sister, Nieves Ortega, reminded me yesterday about how important this fine dice is. 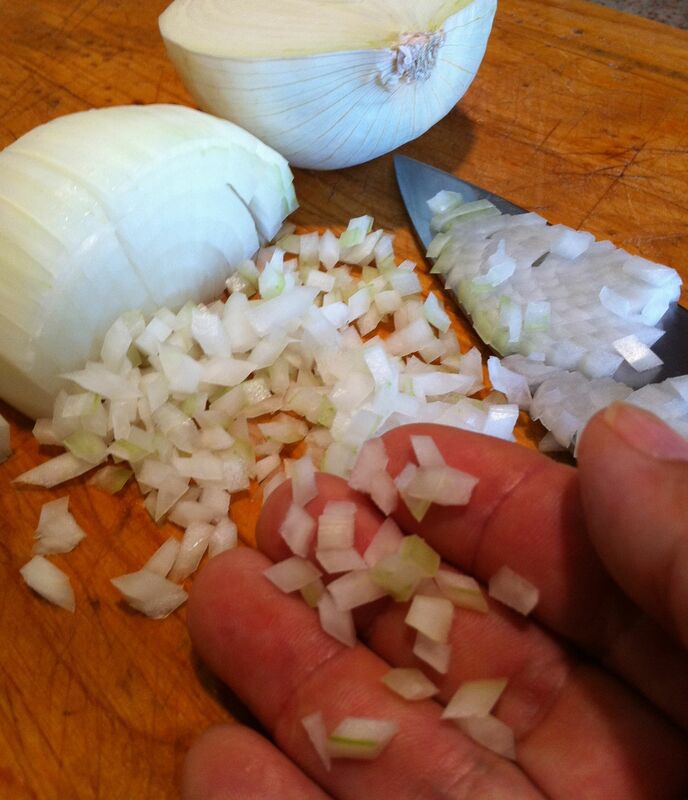 Onions, for some reason, are a naturally delicious combination with chile. You want your mouth to easily taste chile-onion as a principal…”yum!” . 4. In a saucepan or large skillet, heat the flour and oil over medium heat for two minutes, stirring. 5. Use the water to dissolve and remove all the paste from the molcajete and add this to the saucepan, whisking all the while to dissolve lumps. Of course if you have used a blender, add the purée and the rest of the water. 7. While keeping the chile hot over medium heat, use tongs or a spatula to place a corn tortilla in the hot chile for about 8-12 seconds until it is heated through and soft but holding its structure. If too long, it’ll fall apart. If too short a time it will not soften properly. You’ll get the feel of it. 9. Roll them and arrange seam down on six warm plates. Repeat with all the tortillas, three per plate. 10. Spoon about 1/3 cup of the very hot (temperature) chile in each plate and garnish with additional diced onions. Taste these with enjoyment, knowing that each ingredient is there for a reason: to make your mouth feel complex, deep pleasure. The chile carries the dish. Let your mind notice the differences in mouthfeel and textures. To understand the layers of flavors, the aromas – individually and also together. Isn’t it great to enjoy food and understand the link to its people!